I’ll get straight to the point. Wagan makes a great car cooler that combines all of the features you’d want into a single device. First of all, it functions as both a cooler and a warmer. Essentially, you get 2 appliances, and you only need to pay for one. In addition to being convenient, this is an easy way to save money. Whether you commute frequently or want to bring drinks or snacks on family road trips, this versatile portable appliance can handle a lot of different tasks. For example, I have found the Wagan handy for transporting ice cream and frozen foods safely home from the grocery store. Alternatively, the warming feature is also very helpful when delivering hot potluck items to parties. 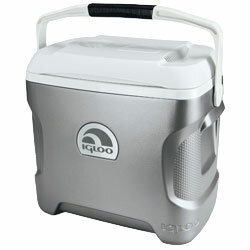 And what about keeping drinks cold at tailgaters? No messy ice needed, and beverages are always chilled and ready to drink. 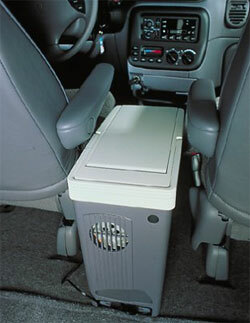 Second, the Wagan Cooler Warmer has plenty of space. 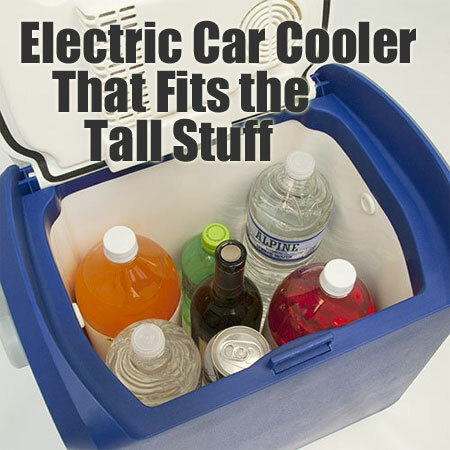 It features a 24-liter capacity (or 27 cans), plus it is tall enough to carry 2-liter soda bottles, wine bottle and more. 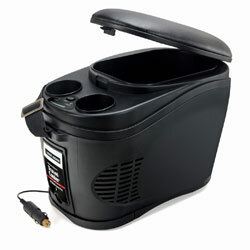 Not only can the cooler hold food and/or drinks for several people, it can accommodate large and tall items too. At the same time, this tall design can make it easier to pack behind a seat or in the back of the car because it has a smaller footprint. Third, it’s easy to carry. 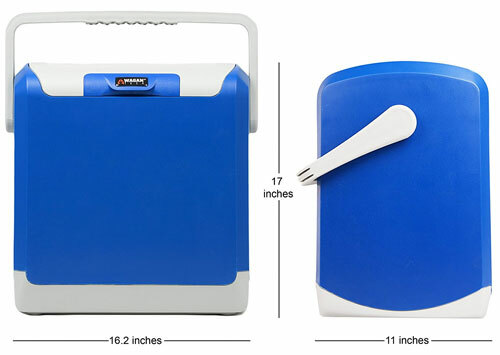 The cooler comes with a sturdy carrying handle, and the power cord can be stowed in a secure compartment at the back of the lid. Although I do like travel coolers that have a shoulder strap, I think the EL6224 model would be to heavy when “fully loaded”. 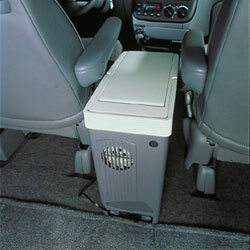 The car cooler warmer is super easy to use. 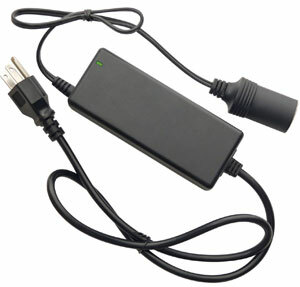 Just plug it in to your car’s 12V DC outlet and set the switch to hot or cold. Then, let the Wagan do its job! The power cord is designed to be long enough to reach the back seat even if the unit is plugged in to your car’s dashboard. 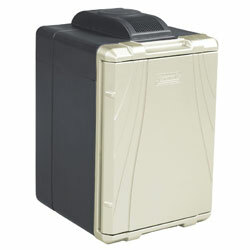 This unit is very easy to clean because it has a large single interior compartment. In addition, the lid is removable! Even after a long camping trip, the Wagan can be washed clean with a hose and a little dish soap in a matter of 60 seconds. Fourth, this unit can chill items in 30 minutes. That said, I always recommend pre-chilling drinks and other items before you stick them in the cooler. It’s more efficient, and your cooler doesn’t have to work at hard. 5. You Can Plug It into a Wall! Fifth, you can also get an optional AC adapter so you can plug the unit into a wall outlet. 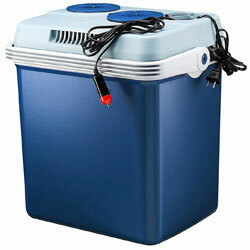 Now, you can use your Wagan cooler/warmer in even more places. 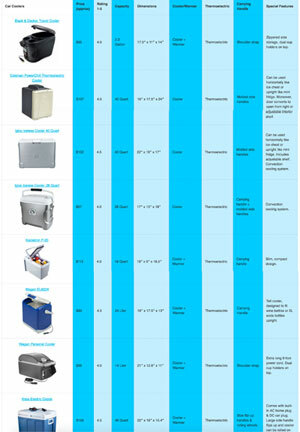 Think office, hotel room, dorm, at home as a “mini fridge”, etc.. 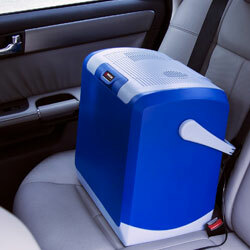 There are two other units that I think make good car coolers/warmers as well. They differ a little in size and features, and they may be better for you, depending on your needs.